Watch this three minute overview video to get started with Veera Construct. Further down on this page, we also have many other training videos that focus on ways to connect to specific data sources as well as how specific nodes within the software work. Looking for a deeper hands-on dive with one of our analysts? We can do that too, just contact us so we can schedule a time. Once you’re done with this video, be sure and take a look at the additional ones below. 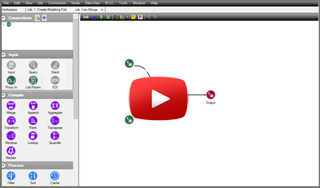 Click on any of the nodes to see a short tutorial that include tips from our analysts.